Have you ever noticed how a room looks 100% better with the right lighting? This lens is dedicated to all the hip, trendy & just plain cool in lighting. Lighting is after all one of the most important things in home decor and can add drama, warmth and excitement to any room in the house. Take a look and you’ll find a great idea and fixture. 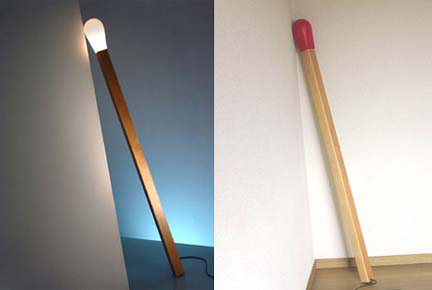 This “museum piece” looks like a giant matchstick leaning against your wall. Made of a wooden stand and a plastic tip, the Match Lamp is truly an “enlightening” installation for your home.Comes with a red and a white tip. 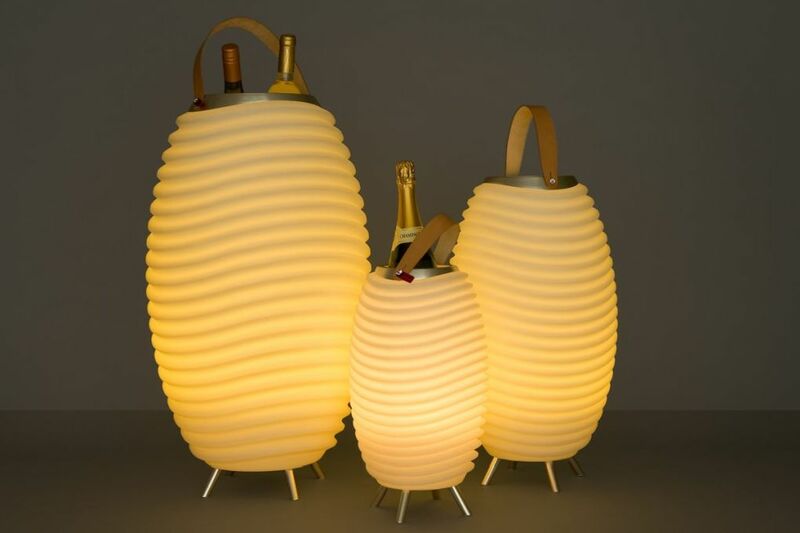 This lamp is ingenious as well as delicately beautiful. Five pieces of porcelain fit together over a light bulb to create this light, all held together by gravity. 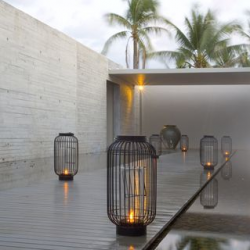 Very natural & zen, the piece will also give a slight chime if it finds itself in a light breeze. Price shown is for a set of three lamps. 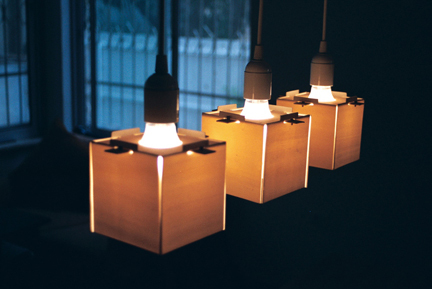 Single lamps (shade only) are also available. The next generation of interior lighting is here!This frosted glass Orb slowly transitions between thousands of colors to show changes in the weather, the health of your stock portfolio, or if your boss or kid is on instant messenger.Imagine if you had to go to your computer and type in your zip code whenever you wanted to check what time it was. Your important information should be as accessible as looking at a clock – now the Ambient Orb can make a variety of information just a glance away.Arrives set to the DOW – glowing more green or red to indicate market movement up or down, or yellow when the market is calm. It can be customized to a set of free channels, such as market indices, traffic, pollen count or weather in select cities. Optionally, you can upgrade to access more premium channels, such as your customized portfolio.Just plug the orb into any standard power outlet and it is up and running on a nationwide wireless network – no internet connection required.For use in the USA only. Mood Light lets you create you own light scenarios. With the remote control (included) you can change colors, functions and light sequences. Compose your own light moods and changing color combinations according to your mood.A stimulating red, a calming blue, an arresting orange – these and any colors can be blended in unlimited combinations and sequences. 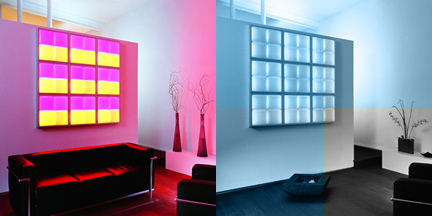 Add a few modules together to create your own light environment (nine units shown in photo). Candeloo is a pair of rechargeable lamps for kids – or the young at heart. They’re great as bed-side guardians, or in make-believe adventures and dining room forts. The SafeCharge system eliminates exposed electrical contacts, making them safe for inquisitive little hands, and they’re always charged and ready to grab in the dark. Lamps come with switches. 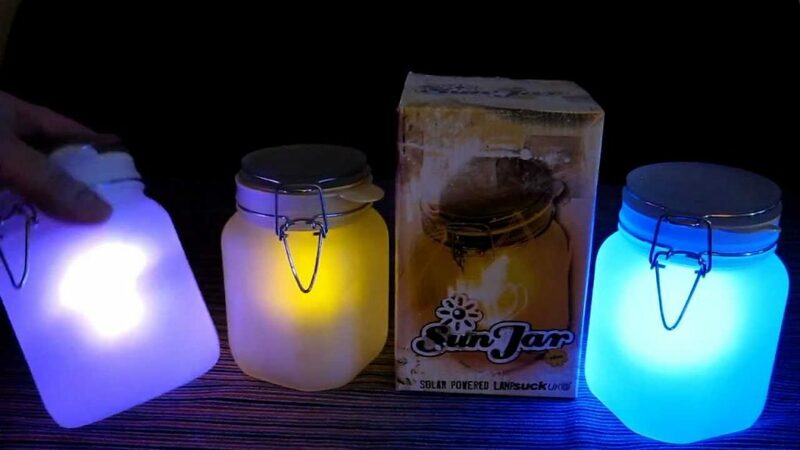 The Sun Jar is a solar-powered lamp created by Tobias Wong. Put it on your windowsill to absorb the sun during the day, and reap its magical rewards when the moon comes out. ;For an even more enchanting hue, the Moon Jar is now also available in a diffused,;electric blue. Bring a ray of sunshine indoors with this brilliant design by Diana Lin! 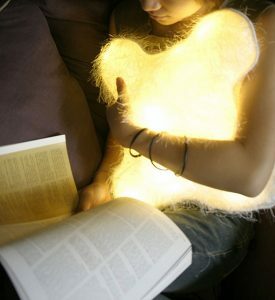 ; d°light Huggable pillows capture all the warmth and;comfort of natural sunlight in a soft, cozy;pillow. Its strangely life-like power comes from the 12 LED lights, encased in small silicone bubbles; and; stashed inside;a translucent pillow cover. ;Can be used;as a light-source,;a headrest… or as a familiar, fuzzy friend; who is always there when you need a warm and;comforting hug. ;A truly enlightened design;both; visually and emotionally. This beautiful wine chiller is a color changing, LED based product that will endlessly cycle through a myriad of colors – from stimulating red, to calming blue, glowing orange, relaxing green, purple and beyond – and back again. Or, if one of the colors catches your eye, simply press a button and the color stays.The Mood-Light Chiller is made of quality poly-carbonate plastic with metal handles in mat finish.Available in the US only.